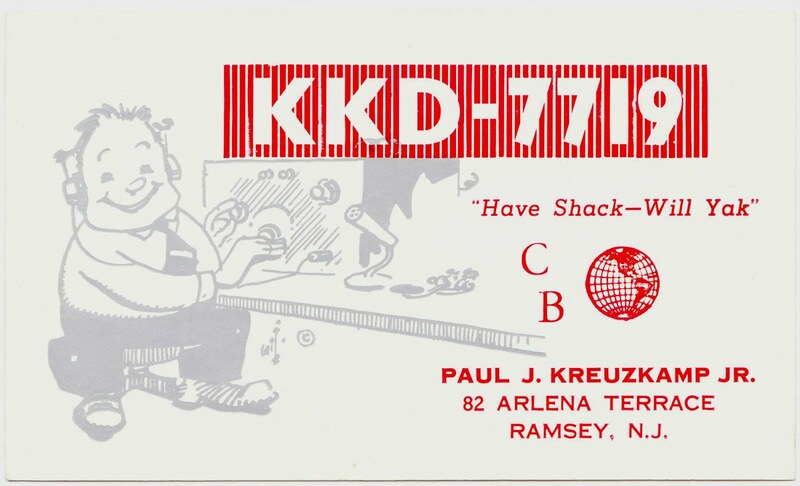 Here are some more QSL cards from the shoebox full of 'em that I picked up earlier this year. They're an unending source of potential stories and fascination for me. 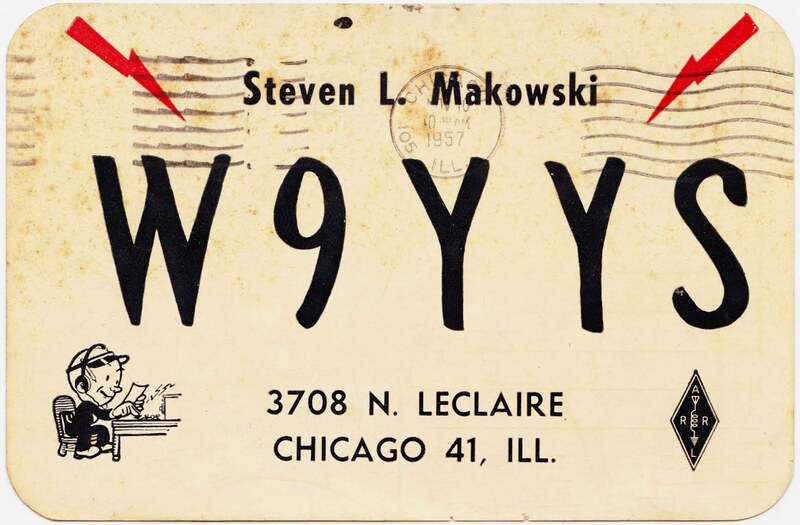 See the earlier QSL blog posts here. 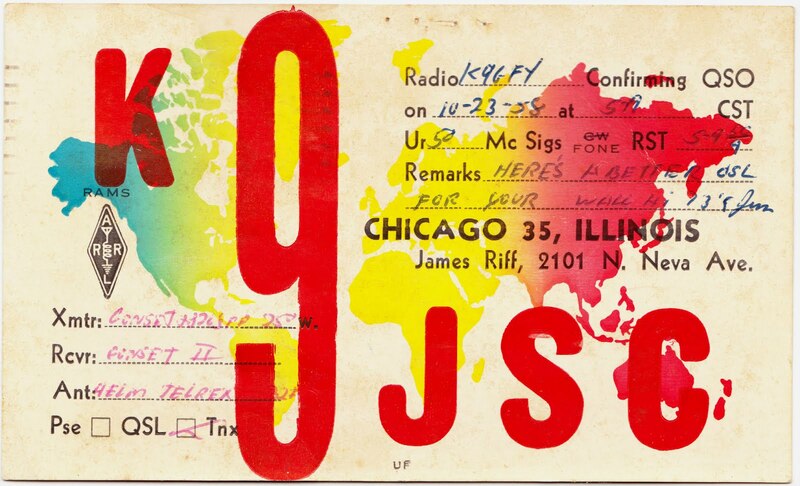 Above: This is the colorful K9JSC card for James Riff of Chicago, Illinois. The card is postmarked on July 19, 1958 (mailed with a 2¢ Thomas Jefferson stamp). 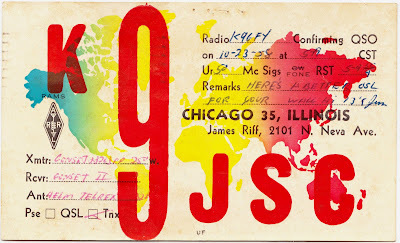 A short note states: "HERE'S A BETTER QSL FOR YOUR WALL HI 73'S JIM". 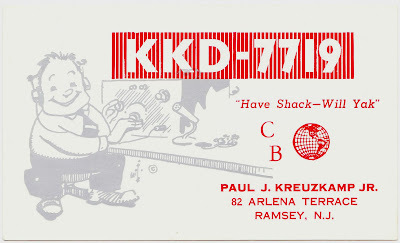 Above: The red-and-gray KKD-7719 card for Paul J. Kreuzkamp Jr. of Ramsey, New Jersey, states: "Have Shack - Will Yak". 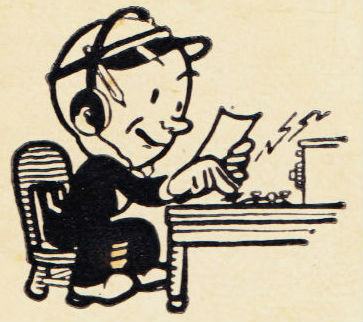 Like the above card, it also features a nifty illustration of a radio operator. Kreuzkamp was a former police chief and attorney who died in 1989. His brother, Steven, founded a scholarship in his name at Brevard (Florida) Community College, to cover full tuition for either basic police training or the corrections officer program. "Navassa Island is located 90 miles South of Cuba, 75 miles East of Jamaica, and 35 miles West of Haiti. The island is owned by the United States and has been uninhabited for more than 50 years. The lighthouse is maintained by the U.S. Coast Guard and is the chief navigation aid for ships passing between the Panama Canal and Europe. 73 and thanks for your QSO and QSL. 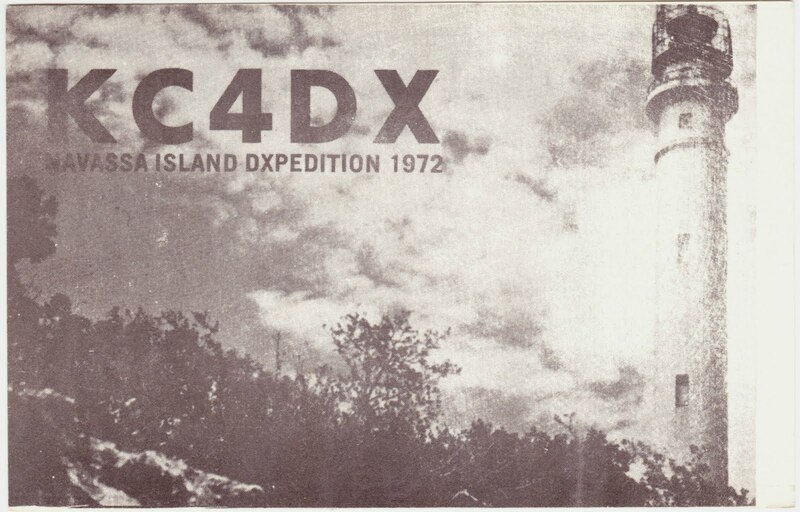 -- KC4DX"
The card indicates that a QSO (Contact) occurred with W2RGV at 0044 GMT on May 13, 1972. It is stamped by the "W3KT QSL SERVICE". "I contacted the Coast Guard and my Congressman and received permission to go there. Wasn't too hard; but one did have to sign a lot of papers indicating you were 'on your own' if any life-threatening problems arose." "I read everything I could about Navassa and there was a lot -- and this was thirty years before Google!" "I don't remember mentioning that I'd never been to sea. Never. In any size boat. Ours was a 41-footer which ain't all that big. Just after dinner Captain Jervis fired up the boat and off we went in our motor yacht 'Tycoon'. Turns out that I get seasick pretty darned easily." "Navassa was a tremendous experience and I've been dining out on this story for forty years. We made 5,700 contacts (not a lot by today's standards but we only operated for 50 hours)." There's also a fascinating incident involving a Russian fishing trawler, the fear of Haitian gunboats, a broken radio, climbing down a rope ladder and getting onto a rubber lifeboat in the middle of the night and fifty gallons of diesel fuel. Go read it! As a final note, according to Wikipedia: "Access to Navassa is hazardous and visitors need permission from the Fish and Wildlife Office in Boquerón, Puerto Rico in order to enter its territorial waters or land. Since this change of status, amateur radio operators have repeatedly been denied entry." 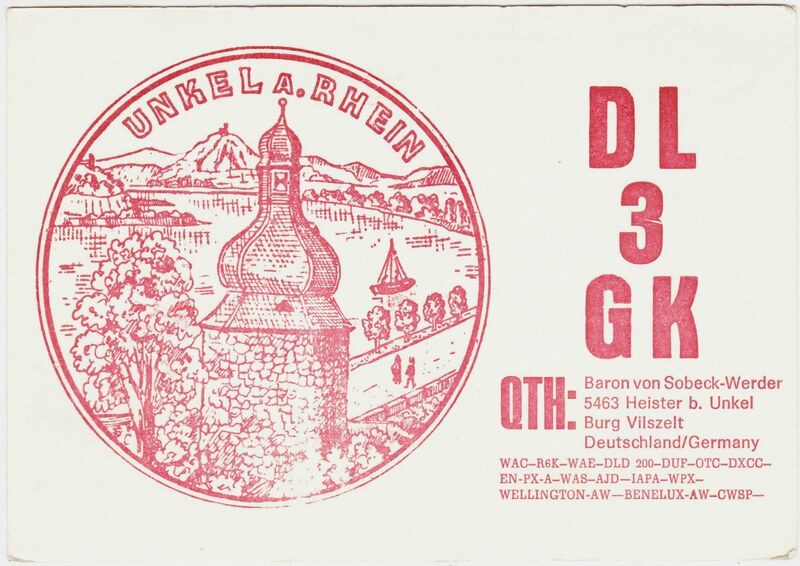 Above: Finally, here's the DL3GK card for Baron von Sobeck-Werder of Germany, which was filled out in 1981. It states that Sobeck-Werder is from Burg Vilszelt. In translating the German Wikipedia page for Burg Vilszelt (pictured at right), we find that it is a small former moated castle in the Heister district of the municipality of Unkel. The age of the castle is not fully known. First mentions of it date back to 1290. 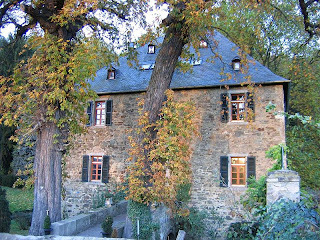 In 1933, Prince Hesso of Leiningen (1903-1967) married Countess Marie Louise of Nesselrode, which somehow caused the castle to return to the hands of the Sobeck-Werder family after more than 450 years. 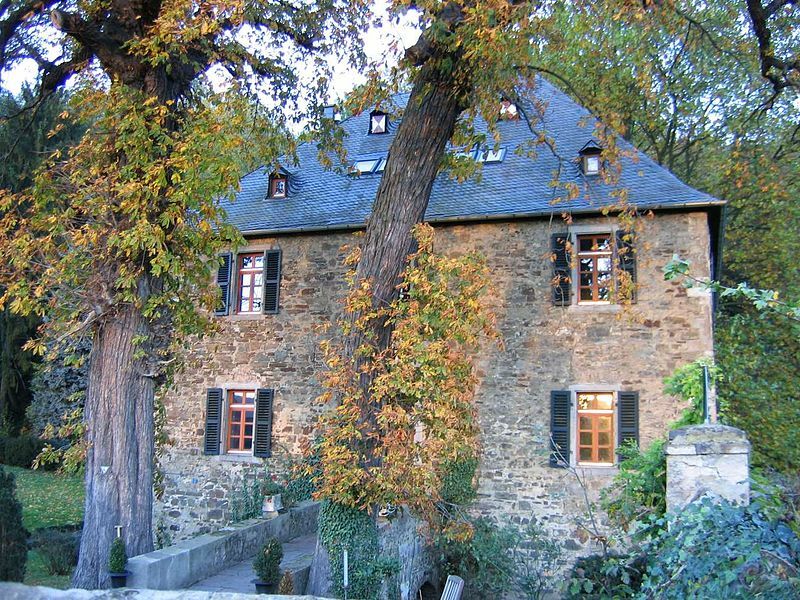 Here is a link to more images of Burg Vilszelt. These cards sure are interesting.